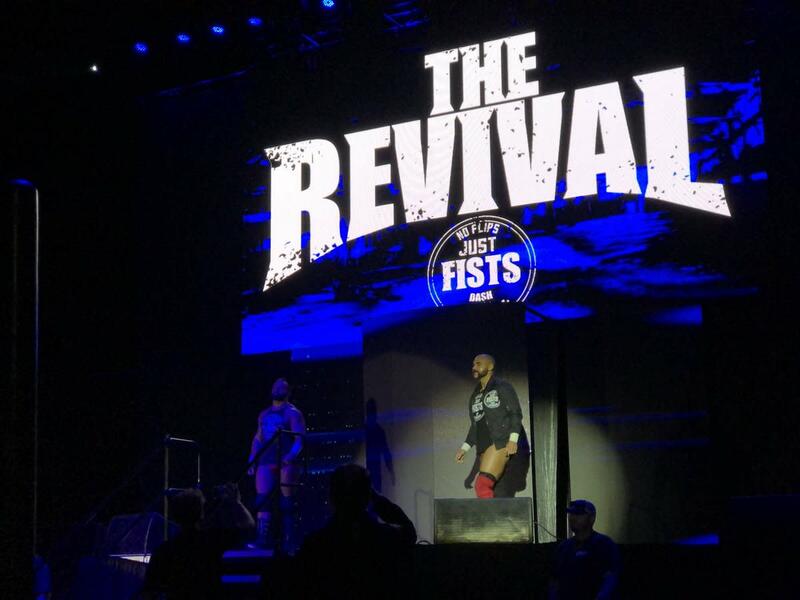 With them returning home from WWE's ongoing European tour, The Revival made a surprise appearance at last night's NXT house show in Oklahoma City. Scott Dawson & Dash Wilder, who are two-time NXT Tag Team Champions, interrupted the current title holders when The Undisputed Era's Kyle O'Reilly & Roderick Strong called out the locker room and claimed to be the top guys in WWE. Dawson & Wilder then unsuccessfully challenged for O'Reilly & Strong's titles. The Revival were called up to the main roster in 2017 and debuted on the Raw after WrestleMania, but both Dawson and Wilder dealt with injury issues last year that set them back. They returned to Raw last December when Dawson came back from a ruptured bicep. This weekend's NXT road tour will continue in Dallas, Texas tonight, with shows in San Antonio and Houston taking place over the next couple of days.